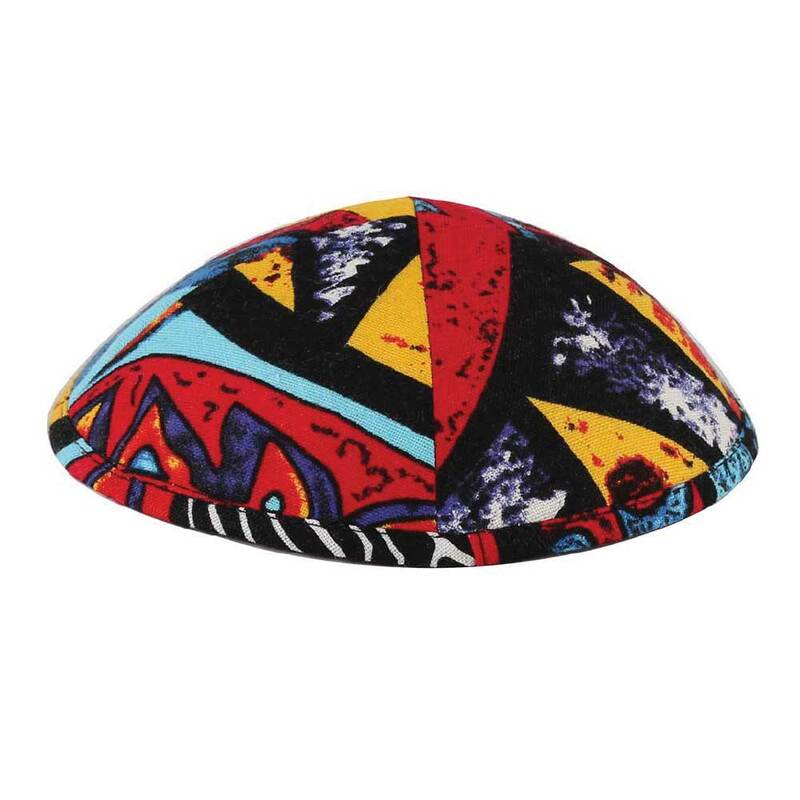 New fancy abstract Kippah, design varies from Kippah to Kippah but stays in these color combinations. Free Kippah clips with every order. Allow 3 weeks for delivery, rush options available, see below.